If you require a custom hose assembly, let us handle it. We can cut, crimp, and assemble your hoses to save you time, effort, and money. You don’t have to have a custom hydraulic system to benefit from a custom hose assembly. Custom assemblies can improve the performance of standard systems too. When choosing your hydraulic hoses in Whittier CA, you might not necessarily want to simply replace the old hose. You might be able to get better performance by choosing a different brand or type of hose. The pros at Bernell Hydraulics can familiarize you with the various brands we carry, like Parker, Eaton, and Waterman, and help you find a hose that has the correct diameter, temperature rating, and pressure capacity. If you need special resistance capacities for your hoses, we can help with that as well. For example, Parker’s Super Tough Cover hoses offer 450 times the abrasion resistance of a generic hose. Improper hose fittings and awkward hose configurations are responsible for many hose failures, and we can help improve those too. 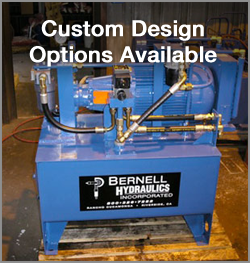 Bernell Hydraulics makes it easy to get hose replacement by offering 24-hour onsite assistance with hydraulic hoses in Whittier CA. Just call us, and we’ll send one of our skilled technicians over to replace your worn or failed hoses right at your work site as soon as possible.